We had a terrific time this Halloween and we were all in for a spooky treat with a performance from local company, Ethereal Art. The fun started with dotting pumpkins around the home and staff got involved. We had some face painting for the carers and members of the team also brought in their pets to visit our residents. A ghoulish man on stilts made his way around our premises to give people a friendly fright as well as some well-received treats. For those who were unable to leave their rooms he gave them a surprise with a bedside performance from the theatre company in which they were delighted. We didn’t carve the pumpkins as we decided to keep them fresh, perfect to cook and eat this week. Thank you to everyone who dressed up! Springhill Care Group has been recognised after being shortlisted for a grand total of 21 categories in this year’s Great British Care Awards. Staff at all three homes – Springhill in Accrington, Birch Green in Skelmersdale and Riversway in Bristol, have been shortlisted, and Springhill Care Group has been recognised itself as a finalist in the Care Employer Award category. SCH Dementia Suite – The Care Home Team Award. Team Birch Green – The Palliative Care Award. Interviews for the North West awards were held in Manchester on October 16th, and the awards evening is due to take place on November 24th at the Mercure in Manchester. Julie Fowler – The Care Home Worker Award. Staff from Riversway will be interviewed for their categories on October 23rd, with an awards evening on Friday, November 16th at Ashton Gate Stadium in Bristol. Donna Briggs, Managing Director of Springhill Care Group, said: “The Great British Care Awards are a major event in the industry’s calendar, and it’s an incredible achievement to see so many of our talented staff shortlisted, as well as recognition for the group. Keep an eye on the Springhill Group websites and social media channels for more updates. Good luck everyone! 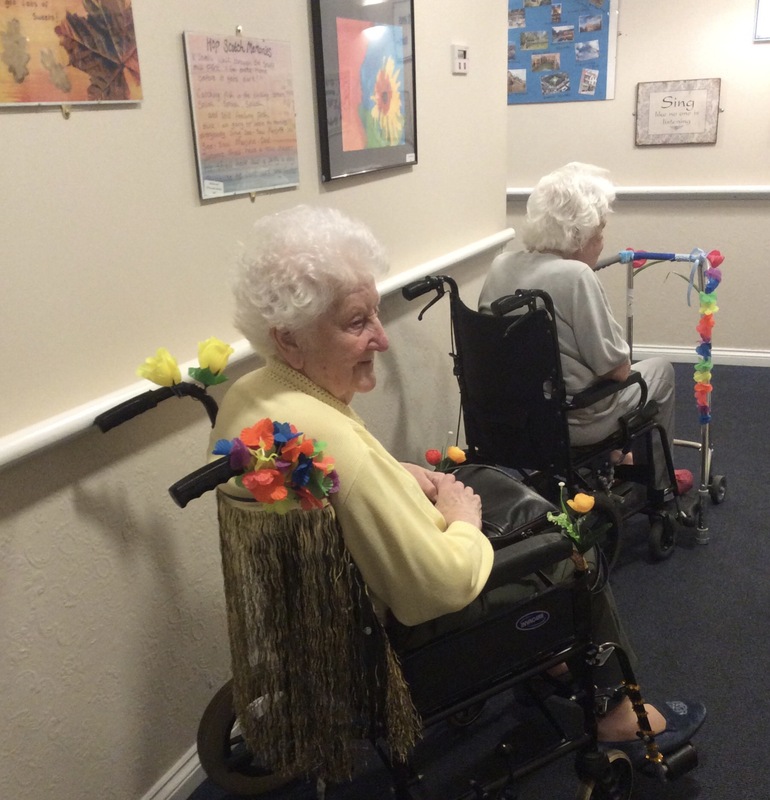 The changing of the season has inspired our residents at Riversway Nursing Home to get creative. Recently we held an activity which saw a group spend time enjoying a tasty hot chocolate while composing a seasonal poem. Dexter the cat even joined in for cuddles. Swallows come in spring and fly away in Autumn. Riversway took part in a community event recently that saw residents contribute to an art project. 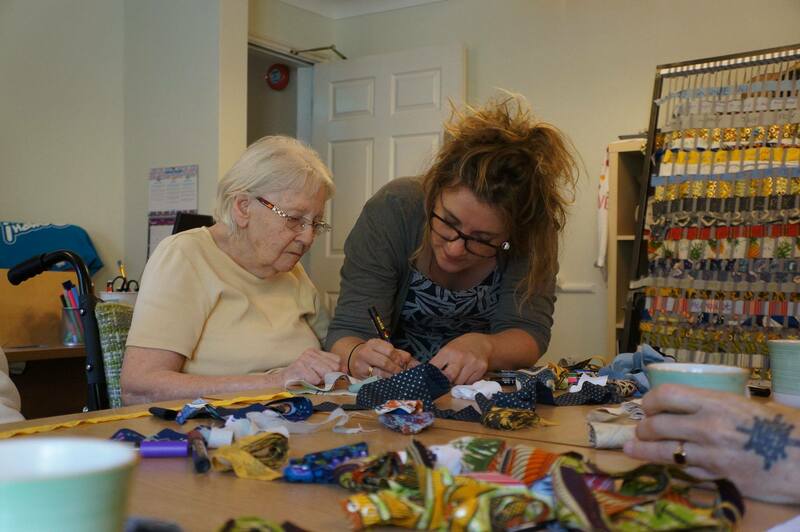 Local artist Bella Bong from In Bristol studio visited Riversway Nursing Home so residents could participate in the weaving project, adding memories of the local area via a loom. The traditional piece of work is being added to by the whole community, and will even be exhibited as part of the popular Festival of Making in the city. 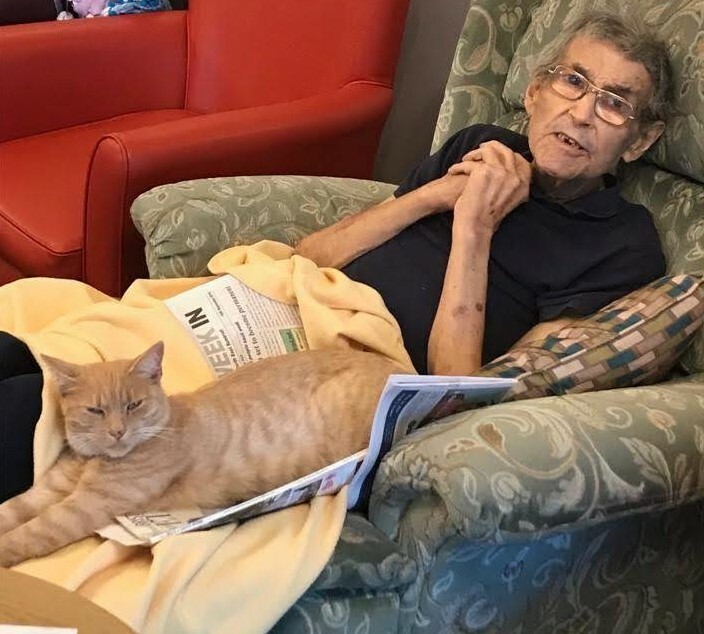 The opportunity was made possible by Riversway’s partnership with local charity Alive and their project Making Pals, which works with care providers to help enrich the lives of older people as well as offer training to carers.